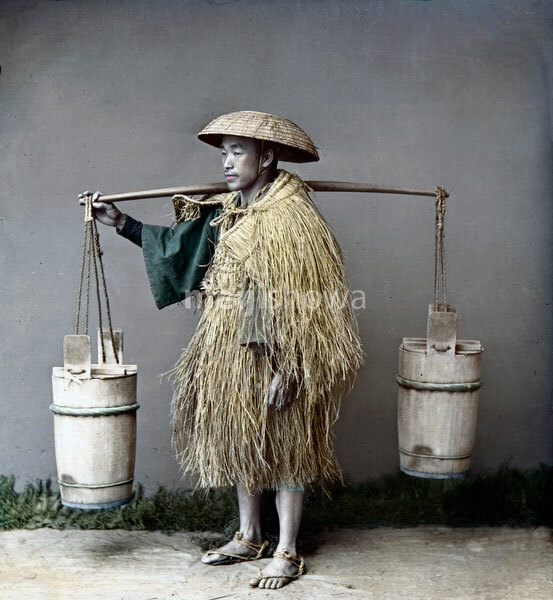 A Japanese farmer wearing a mino (straw raincoat) and a sugegasa conical hat is carrying a pole with buckets of (probably) night soil. Early 1880s. Night soil was collected from private homes and used as fertilizer.